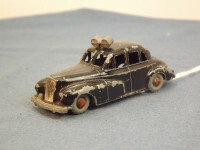 This model is the Morestone Esso Series No. 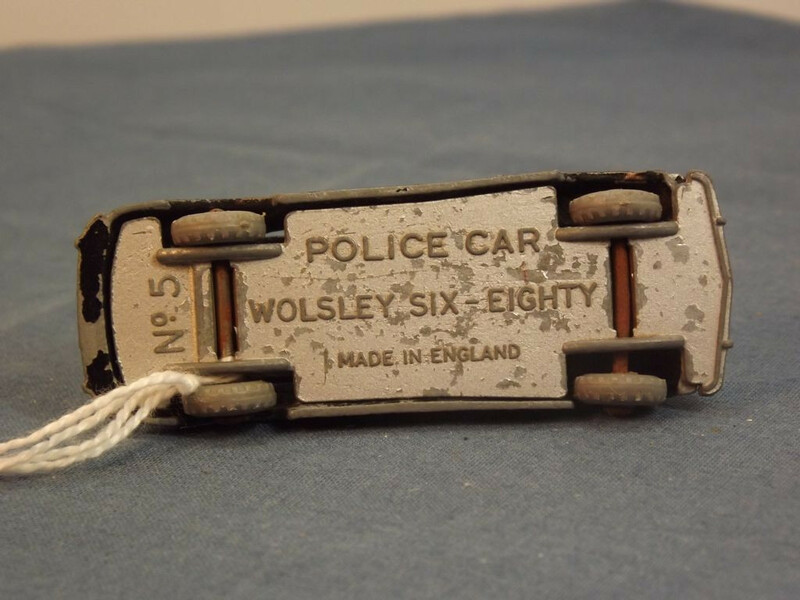 5 Wolseley 6/80 in Black Police livery. It was probably packed originally in a red and white Esso Series box. 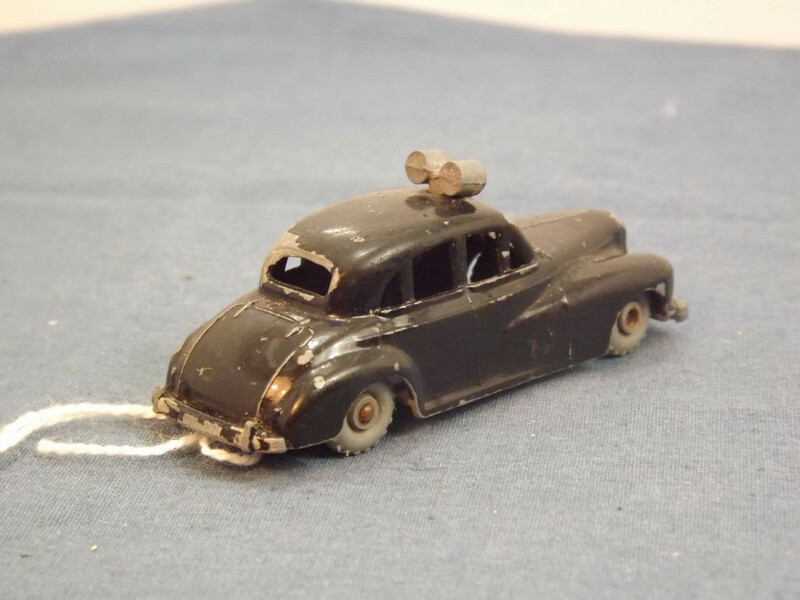 The model has a Black body, and is comprised of 3 main castings (body, base, and roof searchlights/speakers). The trim is silver paint used on the front bumper, grille, and light lenses. All detail, other than the roof lights/ speakers, is cast into the body. 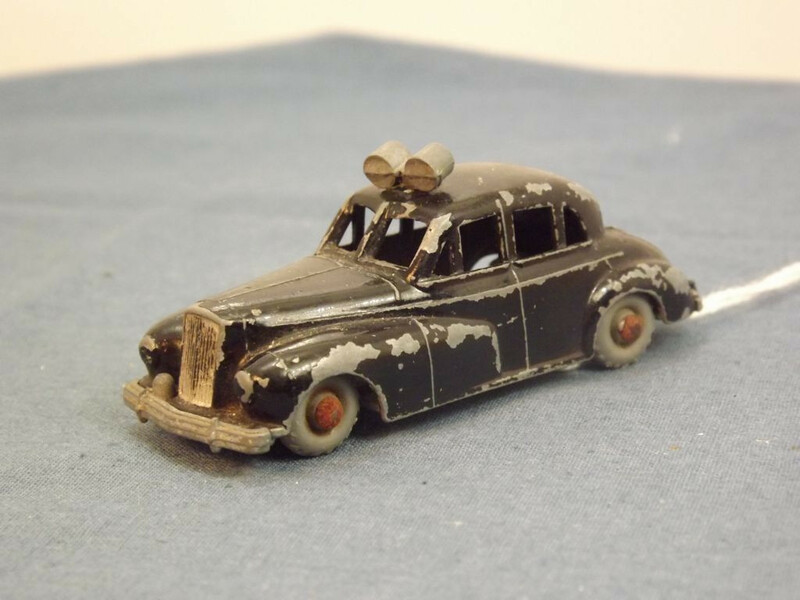 There is no interior or glazing on this model. The base plate is a shaped flat casting with raised lettering. 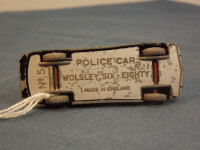 At the top centre it reads "Police Car", "Wolseley Six-Eighty" at the middle centre, and "Made in England" at the bottom centre. The model reference "No. 5" appears on the base behind the rear axle. 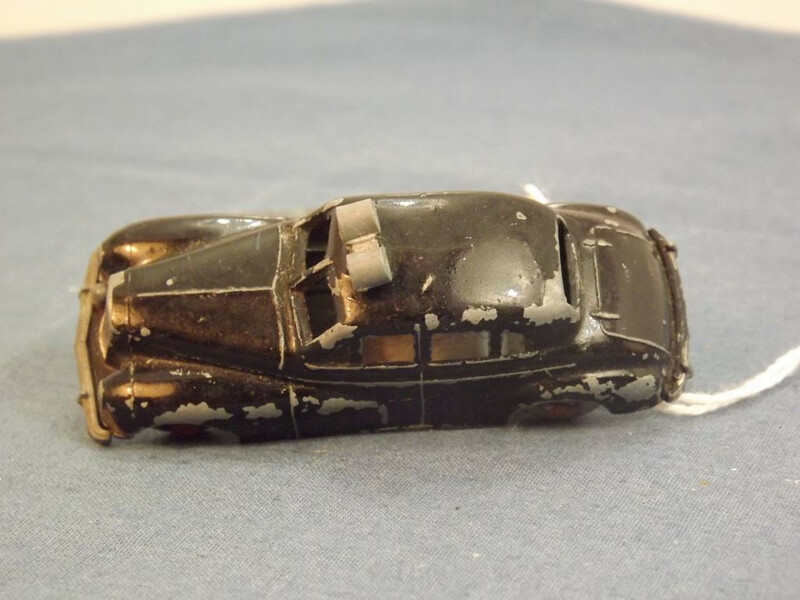 The base appears to be held in place by two cast pins pressed into "rivet posts" attached to the body casting. All wheels are metal, attached to steel domed axles that pass through the base. Issued 1956 to approximately 1960 when the model was reissued as a Budgie.